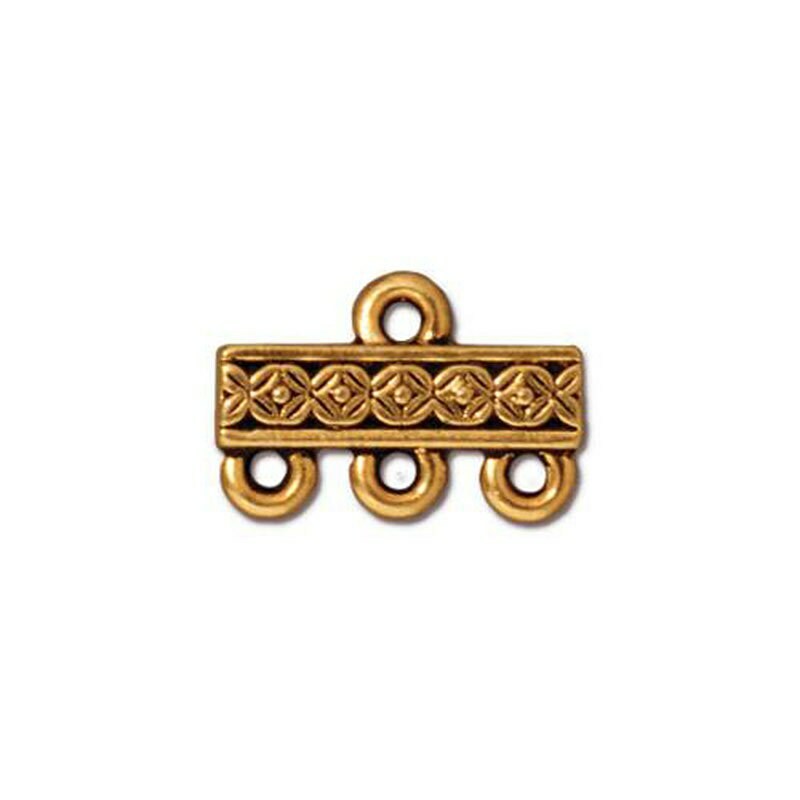 3-1 Multi strand TierraCast three way connector links with deco rose patterning great for bracelets, necklaces, chandelier earrings and more. These 3-1 connectors are double sided, antique gold in color and have a vintage style. Made in the USA by TierraCast with culinary grade lead-free pewter. You will receive 2 connectors.